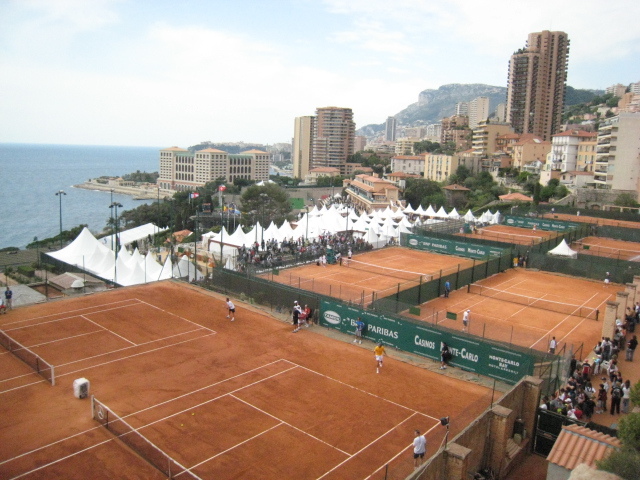 The qualifying rounds for the Monte Carlo Tennis Open began today. On the way back from the Monaco Dog Show, which is at the opposite end of Monaco to the tennis courts, I stopped on the road above to grab this photograph. The Centre Court where the finals are always played, is below the white tented area. Lovely view...a wonderfully captured expansive shot! that is a lot of clay courts! thanks for stopping to take such a great shot! Beautiful view of the city in the background.